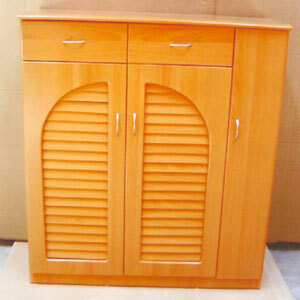 Shoe Cabinet With Umbrella Stand. Strong Construction. Easy to assemble. Holds approximately 18 pairs of Shoes. Available in Light or Mahogany Finish.